We are all looking to get our blog articles out to our readers. 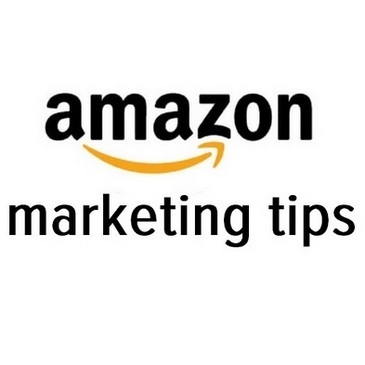 The main way to do this is via social media channels. 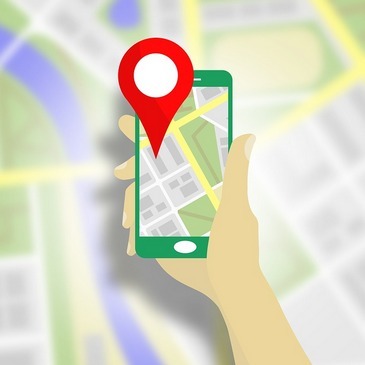 Getting our articles shared means that our posts get indexed quicker and get found on the search engines. ViralContentBee is a great site that allows you to add your blog articles to the ViralContentBee sharing platform to be shared by the members. To add your articles you need sharing credits. You can buy these by becoming an upgraded member or you can earn them by sharing member content. The best way to get credits is just to earn them. There is no need to upgrade a free account with VCB is fine unless time is an issue so go ahead and make an account. You can sign up to ViralContentBee here. 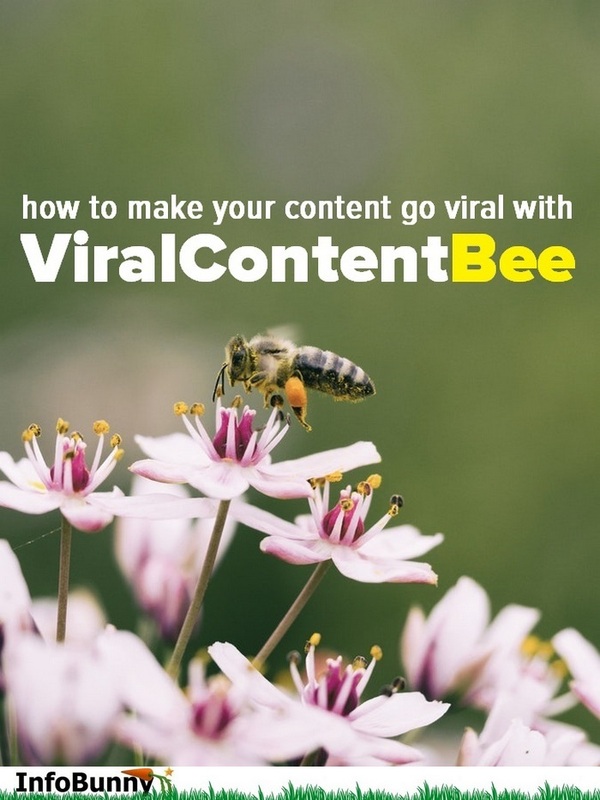 ViralContentBee is a very powerful addition to any social media management strategy. 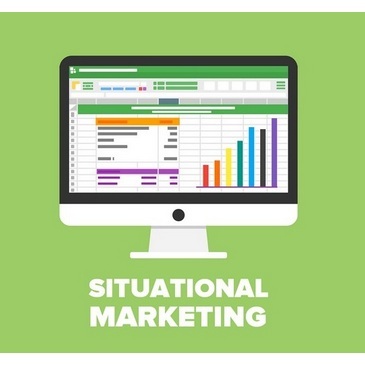 It provides masses of social shares for your posts that will help make your blogs go viral. The first thing to do is to make a profile account and verify your account by clicking the link in the email that is sent to you. Be sure to check your spam folder, sometimes mail will end up there. ViralContentBee is no longer supporting StumbleUpon as a sharing option as StumbleUpon is closing and moving to Mix.com. Linkedin has been added as a replacement. This means that the sharing option to Facebook is no longer supported by Facebook. VCB is currently looking for alternatives to replace Facebook. Integration into Wakelet and Pocket would be a very good addition to VCB’s sharing options. When your social sites added you are then ready to share some members articles in exchange for credits that you can then apply to your own articles. Take a look at the screen capture below, it shows 2 of my articles that can be shared and also other member posts that can be shared. Simply click the relevant social media site button next to each project and earn the credits on offer. The green numbers tell you how many credits you get for sharing to that social media channel. The slightly greyed out buttons are sites I have already shared. 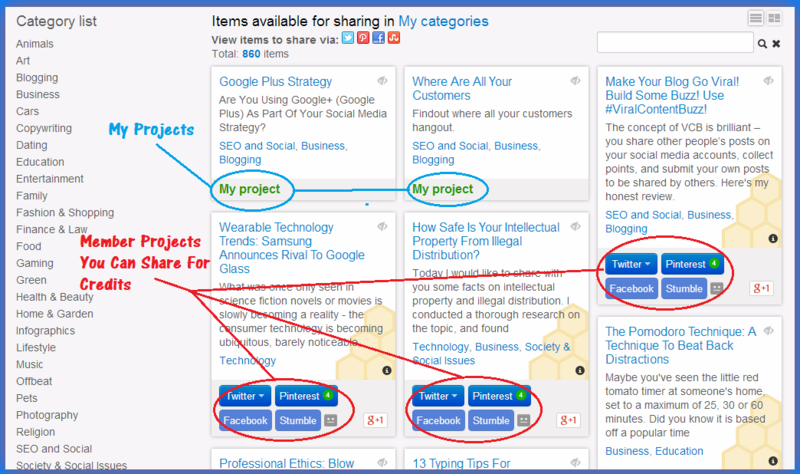 You can only share each project to each social channel once. You need to have at least 10 credits to add a project. 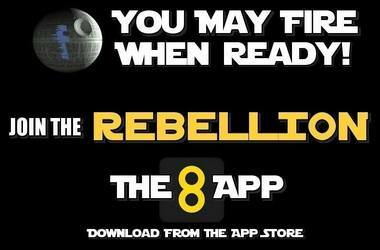 So if you don’t have any credits upgrade your membership or share a few member posts. Add your article link to the Url Box. 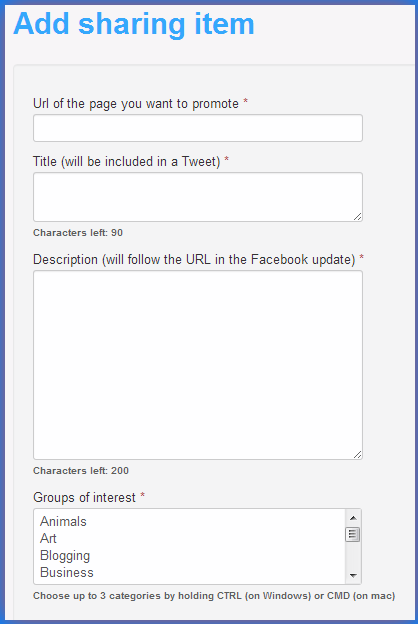 Now its time to add a description this follows the URL on Facebook posts. Make your description interesting to encourage shares. You can then Tag your project to appear in up to 3 categories. Next, you need to set your Project Budget. This is the number of credits that you will spend on this project. And then finally select the social media channels that you would like members to share too. You then have to tick that you have read the site guidelines. Moderators check your content and then add it to the rotation. Emphasis is very much placed on quality. No commercial posts are allowed, please refer to the guidelines for more info. 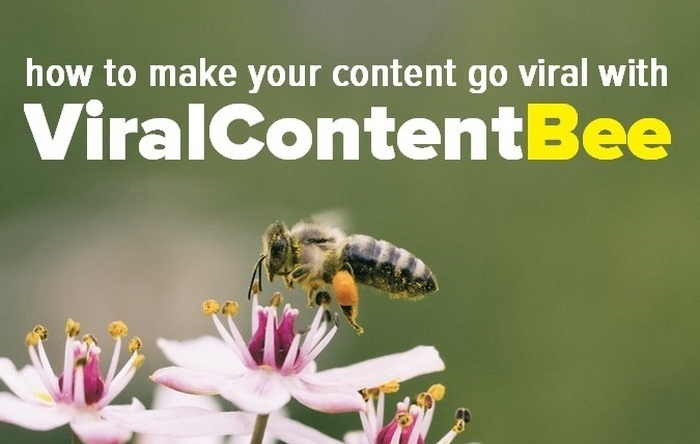 If you are a blogger or an article writer then ViralContentBee is an absolute must-have tool. You have to have a social media management strategy to get seen. And this is about as simple as it gets to get masses of social shares and is a valuable part of any social media management strategy. 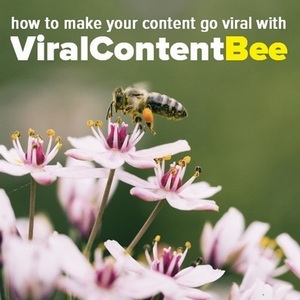 ViralContentBee can make your blogs go viral. 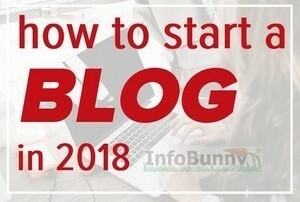 I have been using ViralContentBee a while now and have come up with a very, very simple sharing strategy that is specific to getting the most out of ViralContentBee, I’m sure a lot of you who already use this VCB are already doing what I am about to show you, and some users reading this will think wow that’s a good idea. Ok, so the way ViralContentBee works as we know is that we add our articles to the site to then be socially shared in exchange for VCB Share Credits that we allocate to our sharing projects. The first time we add a project to the VCB System it appears on page one as a New Project. It then moves down the line as more new projects get added and then moves onto the 2nd page of projects or 3rd or 4th. This results obviously in fewer shares for your projects. So the place you want to be is really page one, especially for relatively new projects. So how do you bump your Projects back to Page 1? Well, ViralContentBee allows you to stop projects. You have 20 credits in your bank. One of your projects is on page 2 and has 20 credits left. Stop the project to release the 20 unused credits then re-add 30 credits. This moves your project back to page 1. 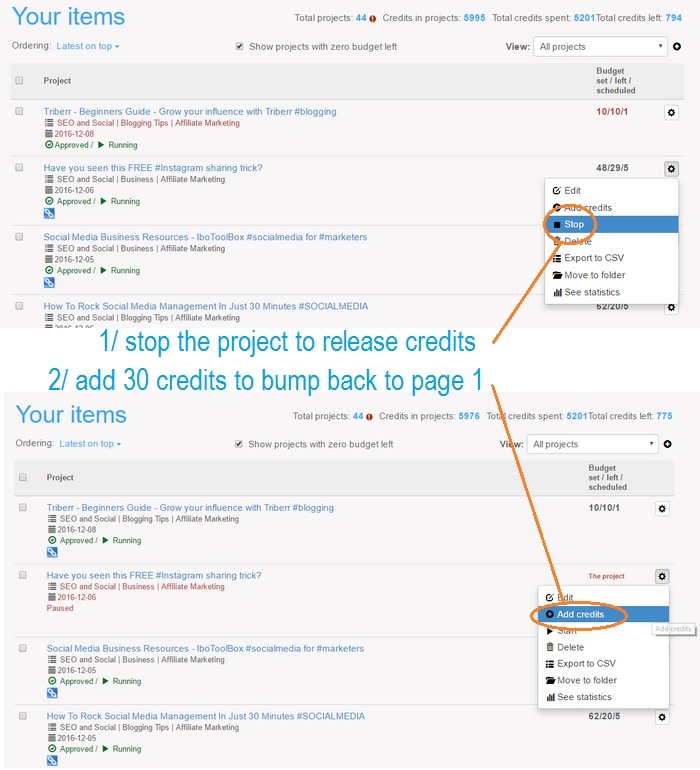 You can move credits around to bump projects as and when required to keep your projects on page 1. It is a very good strategy at some point to delete submissions and re-add them with new titles and images to create new social shares. 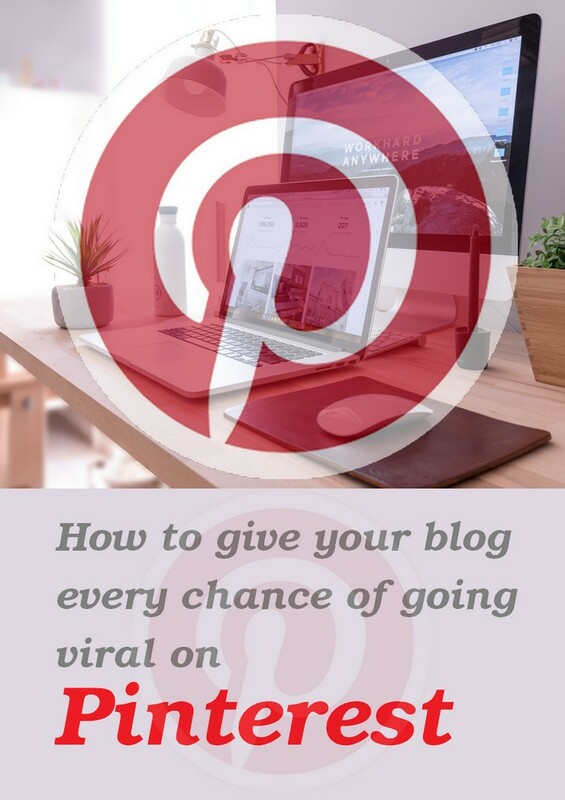 ViralContentBee gives you the ability to give your images viral reach as members actively pin you to Pinterest. The more your images appear on Pinterest the more your recognized as an influencer on Pinterest. This results in the Pinterest algorithm working in your favor and showing your pins and boards to other members. It is a very similar situation with StumbleUpon. The more Stumbles a page gets the more chance it has of being picked up by StumbleUpon members generating you masses of StumbleUpon traffic. 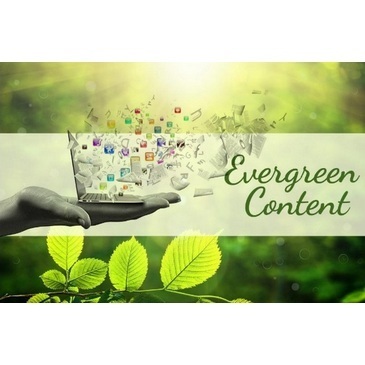 Ann Smarty the owner of ViralContentBee has a great case study article that you should read. 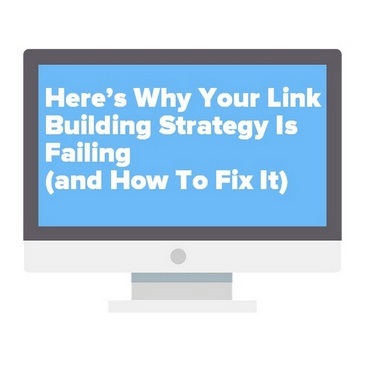 It is all about the impact VCB has on her marketing and SEO efforts. I highly recommend that you stop by Ann’s site. 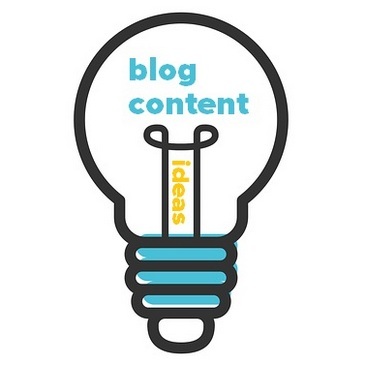 Do you have any tips or tricks of your own that you use to make your blogs go viral? [ Smiles ] Oh, I use their services. By the way, they have rebranded themselves as, “Viral Content Bee”. [ Smiles ] I do not know why; this is something that I would have to look into. I just wanted to say that sharing your VCB bumping strategy is pretty awesome. Many people would never consider that and the credits would probably just go to waste or something (not sure how credits work exactly, yet). I’ll have to sign up and try out this method of yours and see how well my articles do. You do mention that no commercial posts are allowed, so does this mean that review posts are out? It depends on what you are reviewing really. You can’t just post a sales pitch, it has to be good quality content. 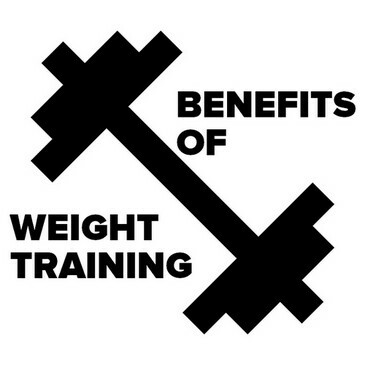 Great post and helpful. I have a VCB account so working on it now to use more .. thanks! 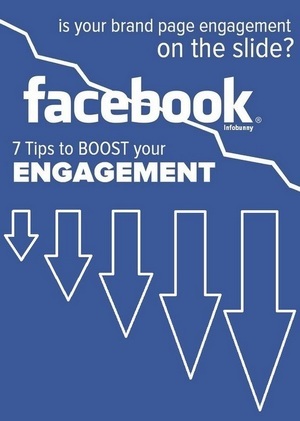 this basically keeps your posts socially active long after you have published. You can then just reset them in VCB, change the images and message and refresh everything to keep them popular.